The ground in the north of Holland was recently shaking and not because of an earthquake, but because Professor Ben Feringa from the University of Groningen has won the 2016 Nobel Prize in Chemistry for his work on the development of molecular machines. Feringa discovered the molecular motor — a light-driven rotary molecular motor – which is widely recognized as a spectacular scientific breakthrough. ‘Building a moving molecule is not that difficult in itself, but being able to steer it, have control over it, is a different matter.’, he said. Years ago he already presented the first molecular motor, consisting of a molecule, part of which performed a full rotation under the influence of light and heat. 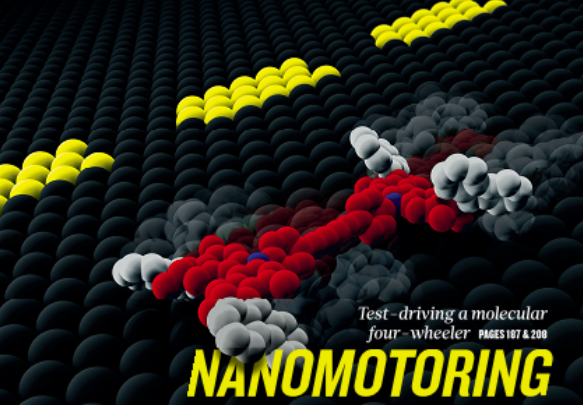 He has designed many different engines since, including a molecular ‘4-wheel drive’ car. By fixating the engine molecules to a surface, he developed a nano ‘mill park’ in which the mills rotate when exposed to light. And last year he described the world’s first symmetrical molecular engine. Feringa also succeeded in putting these molecular engines to work, having them turn a glass cylinder 10,000 times their size. Amazing. 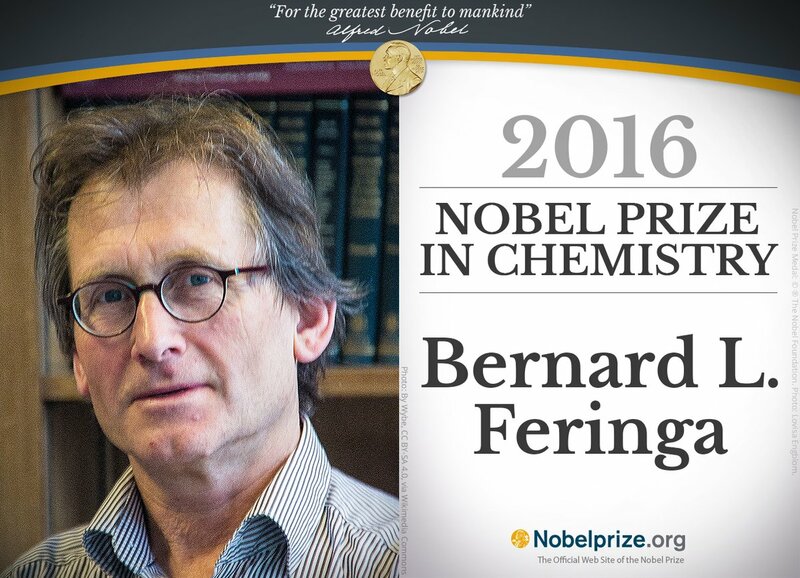 Feringa is internationally recognized as a pioneer in the field of molecular engines. One of the potential applications of his engines is the delivery of medication inside the human body. I recently heard an interview with him, in which he promoted the idea that universities should be playgrounds, where scientists must be able to do whatever they want to create real breakthroughs. Today, the ability of universities to create these playgrounds is limited due to a constant reduction of budgets over recent years. It would be interesting to know how the University of Groningen has managed to do this. Another, less famous, department at the University of Groningen is working on the formation/deformation of materials which are exposed to high temperature (> 1000 degrees Celsius). Measuring EBSD patterns while temperature increases, shows that new crystals are formed at a certain temperature. Now my hopes are that this “playground” too will end up in a few years from now with a Nobel prize for a breakthrough in Materials Science.